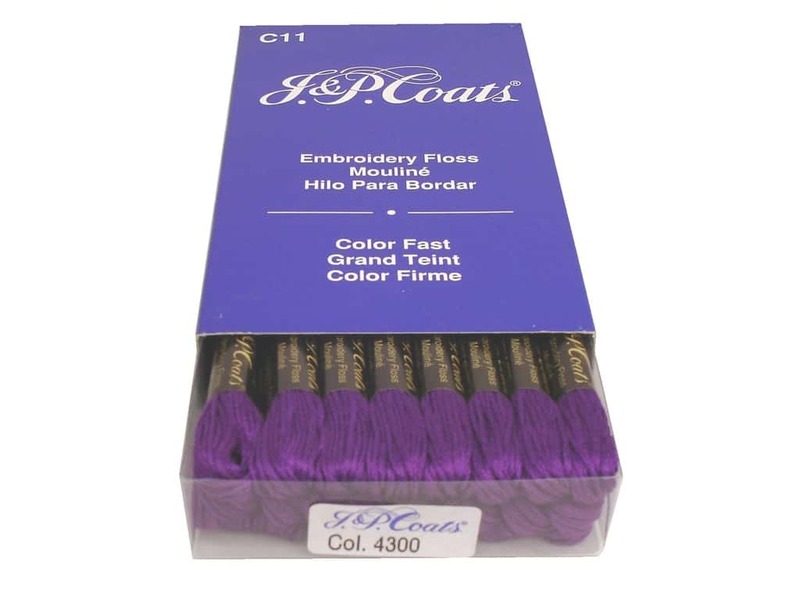 Description: J & P Coats Six-Strand Embroidery Floss is a divisible embroidery floss that is made of mercerized, long staple cotton. This washable, dry cleanable and colorfast embroidery floss is excellent for cross stitch, embroidery, crewel, needlepoint, plastic canvas, and other craft uses such as friendship bracelets, tassels and dolls. 100% Mercerized Pima Cotton. 8 3/4 yards. #4300 Lavender Very Dark.